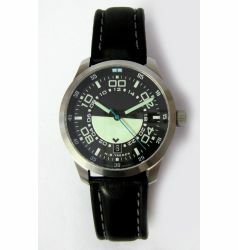 We began selling NB Yäeger watches in 2005, the year of inception of the NB Yäeger watch company, and we were the world's first retailers of Automatic NB Yaeger Watches. There has been a lapse in production as the company, which was founded by Martin Braun, was sold to its new owners, Gnonomic GmbH, who own other manufacturers such as Schaumburg Watch and Nauticfish. Now that the new owners are up and running with production, they re-launched at Basel 2012. At the launch, we have re-established our connection with the brand, to again become the world's first retailers of NB Yäeger watches under the new brand ownership. 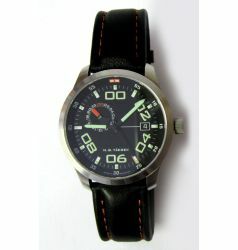 Automatic NB Yaeger Watches was conceived and presented by master watchmaker Martin Braun. 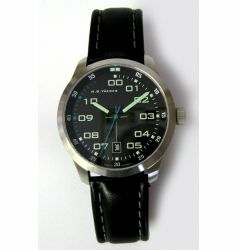 The Martin Braun company is a well established German company led by Martin Braun. Martin began life as an antique watch restorer, specializing in complicated watches. 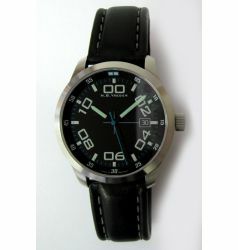 He quickly let to eminence for being able to restore, and re build the most complicated watches in the world. At the same time he was working on his own projects such as the EOS complication watch. This took five years to build which included one year just for the mathematical calculations of the sunrise and sunset times, which this watch is able to indicate into the future. Martin also makes other complicated highly functional watches which feature astronomical complications, equation of time indicators, world positions, moonphase, day and night, chronograph and calendar watches. Martin Braun has won many industry awards and are recognised as being leaders in complicated watchmakers, which are hand finished and not mass produced. Apart from Martin the workshop has two watchmakers, two master watchmakers and two quality inspectors. That is on quality inspector for every two employees! Perhaps an obsession for quality as well as watch making ingenuity. 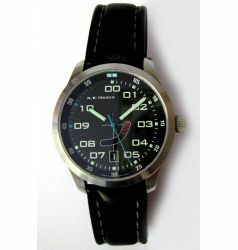 Automatic NB Yaeger Watches represents the uniqueness of the design of these watches, specially that “Y” for the dynamics, for the clarity and expressiveness of flight and navigational designs. The design philosophy of NB Yäeger pursues new characteristics, breaks open boundaries and realises fresh ideas in watch design. 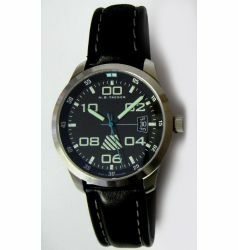 The designs consistently reflects flight instruments, in a charismatic new line.